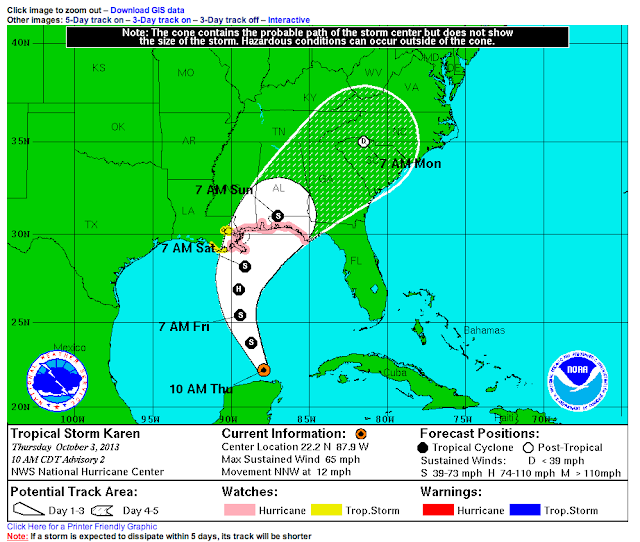 For updates on Karen's mood, visit her profile at the National Hurricane Center. 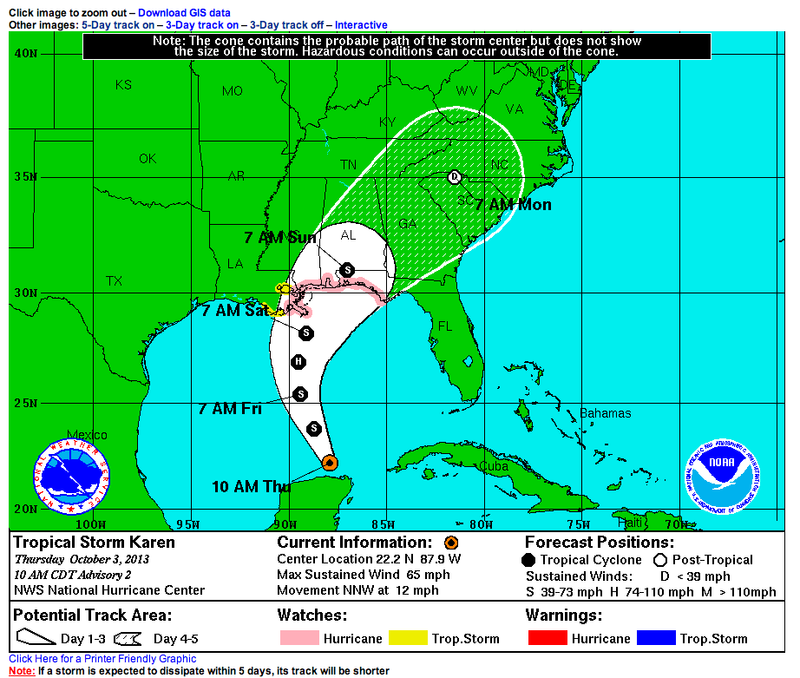 Tropical storm Karen's projected path as of Oct. 3, 2013. Kudos to DeKalb Police Department!